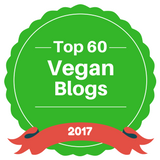 A couple of years ago, I purchased some Gnosis raw chocolate bars through the Daily Gourmet and found them to be very bitter and not at all tasty so I wrote about that. Since then, the owner claimed that I must have received a bad batch, but never sent me new ones so I kept the review posted as is. In the meantime, a bunch of people told me they really liked their bars and suggested I give them a second chance. Sure, why not. So when the owner contacted me recently, I suggested she send me some new samples and, boy, was I surprised. Gnosis bars are really good. 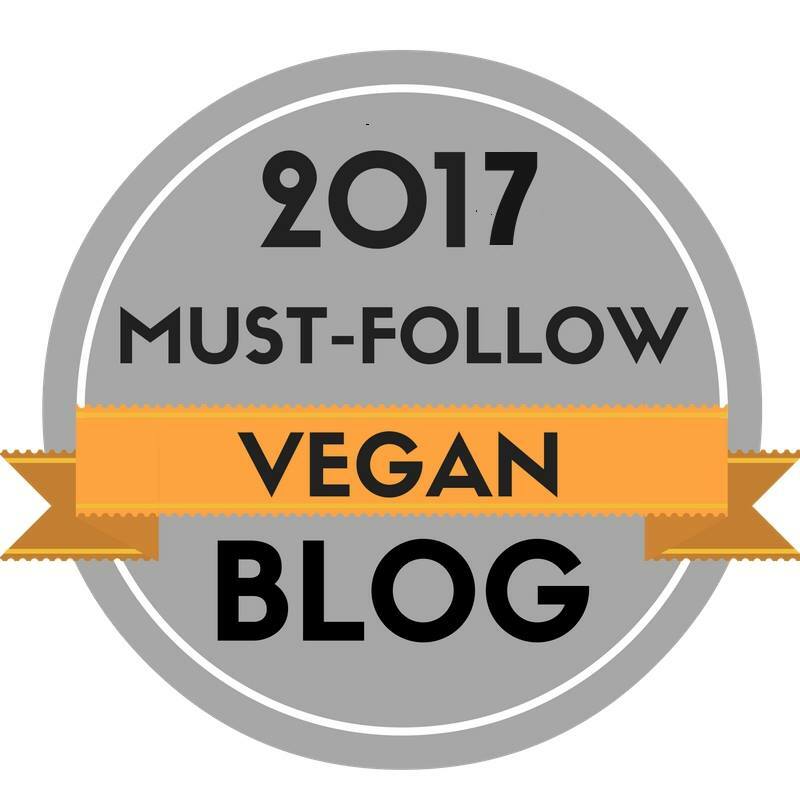 In fact, based on this most recent experience, I'd say that Gnosis makes some of the best raw chocolate bars on the market -- hands down. Gnosis was created by Vanessa Barg just six years ago. She was on track to go to medical school when she realized that food was the best medicine so she switched direction and trained at the Institute of Integrative Nutrition instead. She heard a presentation about the benefits of raw chocolate by world-renowned raw foods expert, David Wolfe, and decided to develop raw chocolate using superfoods that would be great tasting and healthy. And so Gnosis was born. She sent me three of her chocolate bars and a raw trail mix and I have to admit they were all good. My favorite bar was the LuckChoc. This was the one I put off till last because it didn't sound all that appetizing. 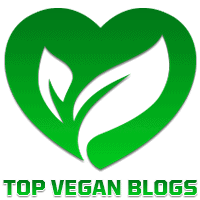 It seemed like the healthiest one as it was made with Vitamineral Greens, clover powder, irish moss, and blue-green algae. But, how would that taste in a chocolate bar? The answer is that it tastes amazing. I found the bar to be rich and creamy when I first bit into it, then it finished with the taste of those unusual ingredients and it was truly delightful. I also loved the Immunity bar. 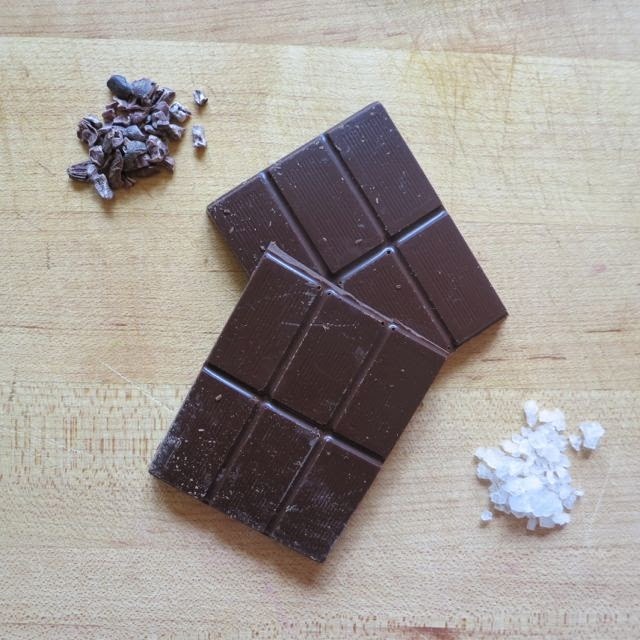 This 70% raw cacao bar is made with chai spice, currants, herbs, and coconut palm sugar. This bar was also quite rich and you could really taste the delightful mix of rose hips, ginger, cardamom, ginseng, and cloves along with the peptias. It was the cardamom that really gave it the oomph. Then there is the Raw Trail Mix in PowerChoc. This is sooo good. It's a superfood trial mix with fruits and nuts that is rich in protein and omegas for long-lasting energy. 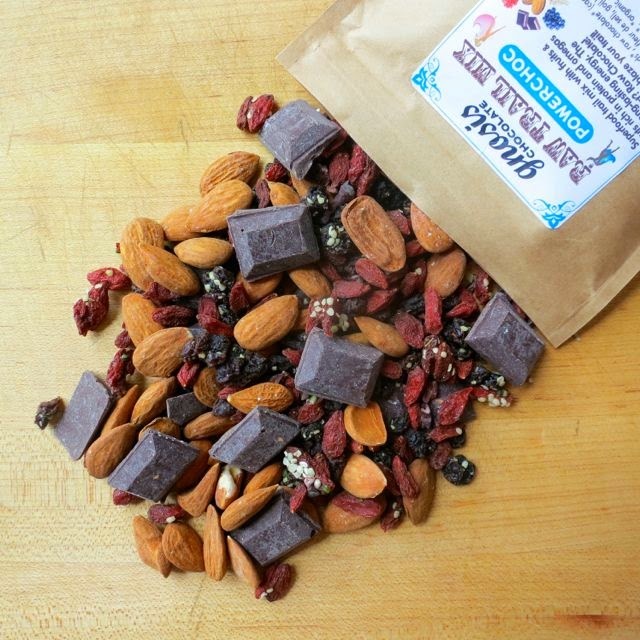 It's a scrumptious mix of chocolate, almonds, goji berries, currants, hemp seeds, and cacao nibs. 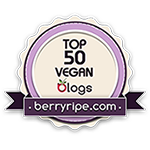 I loved how soft the goji berries were -- not dried out at all like many other brands. I feel like I could eat this every day! Best of all, it is raw chocolate. 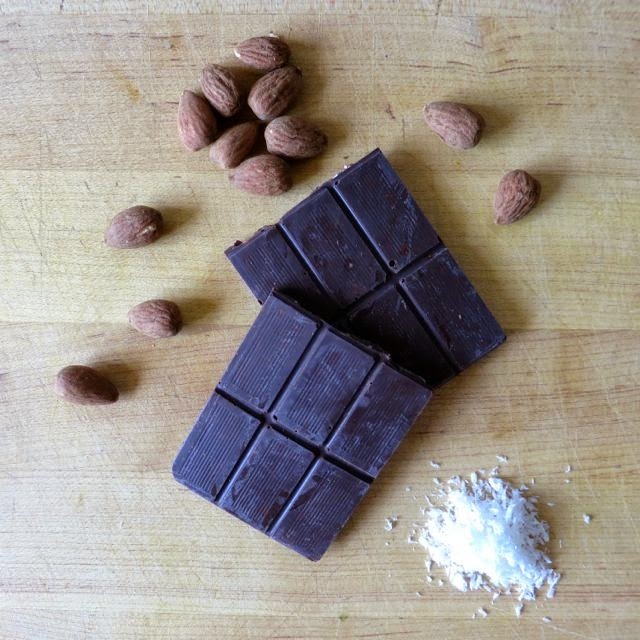 Raw chocolate is less processed and rich in nutrients and antioxidants. Many people think it is much healthier than roasted chocolate because it has not been heated above 118-degrees, therefore all the goodness remains intact. What I like most about this company is how they are conscious in every way. Vanessa works directly with the suppliers and farmers to ensure integrity. She visits her suppliers in Belize, Grenada, Mexico, and Indonesia to ensure quality and fair labor practices. 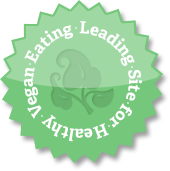 All of the chocolate is certified organic, certified vegan, kosher, gluten-free, and Non-GMO Project Verified. Most of the bars sell for $6.99 each while the specialty bars are as expensive as $9.25 each. The trail mix is $12.99 per bag. They also make hot chocolate, truffles, and spreads. So while not cheap, I will say that the chocolate with its healthy, organic, superfoods is well worth the price. 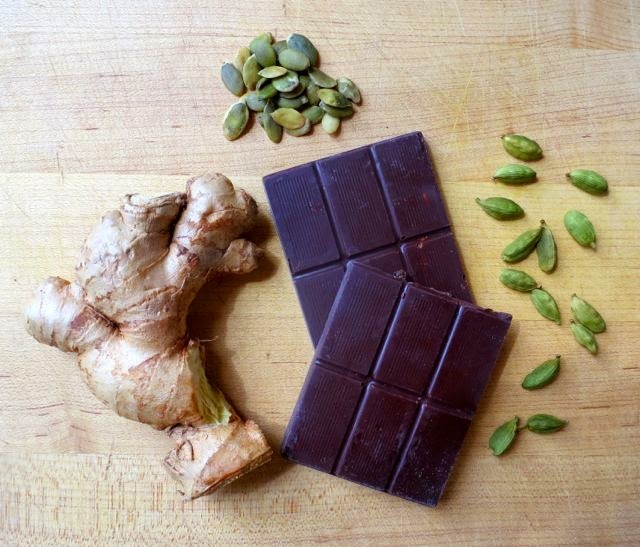 Do yourself a favor and give yourself the gift of fine, raw chocolate. Your body will thank you for it later. You can order direct here. In the meantime, I'll be removing my previous review as this one better reflects my current views. 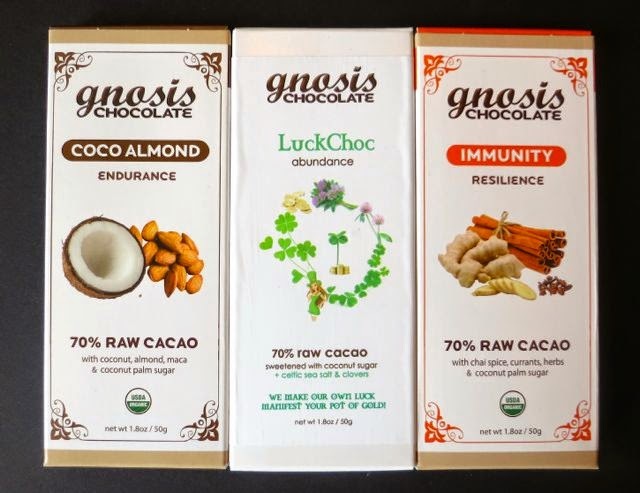 My experience with Gnosis Chocolate has been quite negative. After placing an order and then having the package stolen due to a mis-delivery by the post office, the Post Master suggested that I contact Gnosis and have them file a claim. However, after a week, they have failed to respond to any of my emails. I tried writing to one of their other email addresses, have left message with their non-live "life" chat, and still no reply. Their phone number is useless as the voicemail box is full and a message cannot be left. One month later, and I still have no product, no refund, and the worst part - no response or assistance at all from Gnosis. This is a very poorly managed company, and their customer service is non-existent. *Update* Gnosis has now removed my requests for help from their Reviews page, including comments by one of their loyal customers that saw my requests for help, and was trying to assist me in making contact. The page is now completely censored, with only reviews displayed as of last July.